This was my second visit to Amore, the first was a few months ago for a Slow Food West Michigan Potawatomi Convivium meeting. When I saw on FaceBook that they were featuring soft-shell crabs and Michigan asparagus, I talked my husband into heading out last Friday. When we arrived, at 6 PM the Friday before Memorial Day weekend, it was pretty empty. “This reminds me of a Kitchen Nightmares episode,” the husband joked. I had to agree. We watch entirely too much of that show. However, since I had been there with the Slow Food group–and they even hosted a fundraiser there–I decided to take my chances. After all, if it’s good enough for the picky Slow Foodies, it’s usually good enough for me. 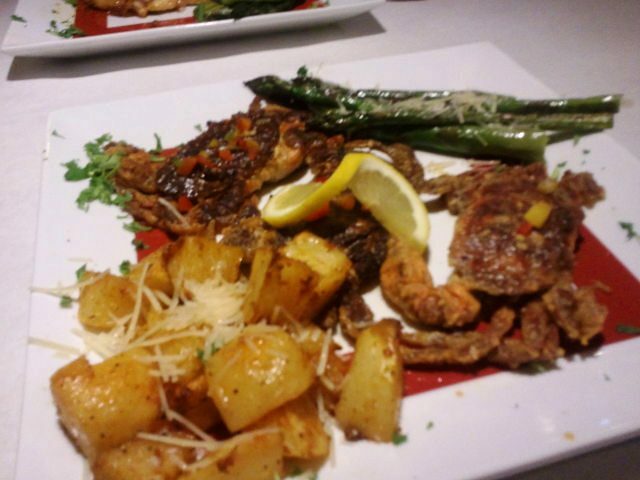 Amore Trattoria Italiana is an Italian restaurant that sources locally when possible. Unfortunately it didn’t extend to the wine, which was all Italian. They did have local beer on tap so they get half credit. 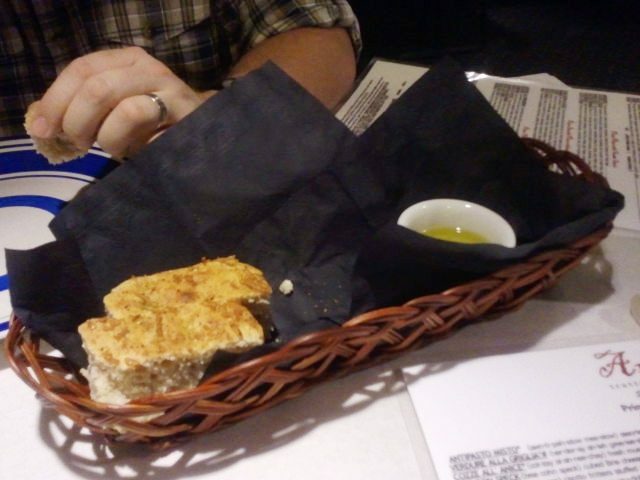 The waitress seated us and told us about the specials, then took our drink orders and brought us some bread. The olive oil was of good quality. 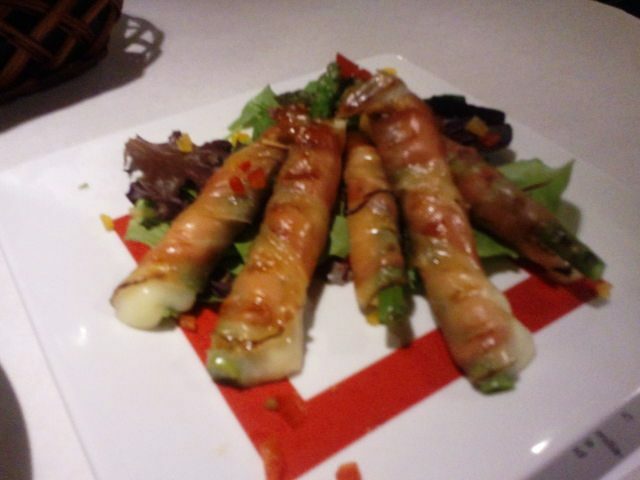 We decided to get the seasonal appetizer, which was asparagus with brie wrapped in speck (similar to prosciutto). It was delicious, and the husband and I decided to try to recreate this using prosciutto at an upcoming beer pairing event. For the main course, I ordered the soft shell crab pan fried in clarified butter. They were done perfectly–I love the crunchy legs. The potatoes were delicious as well, as was the asparagus that was served with it. 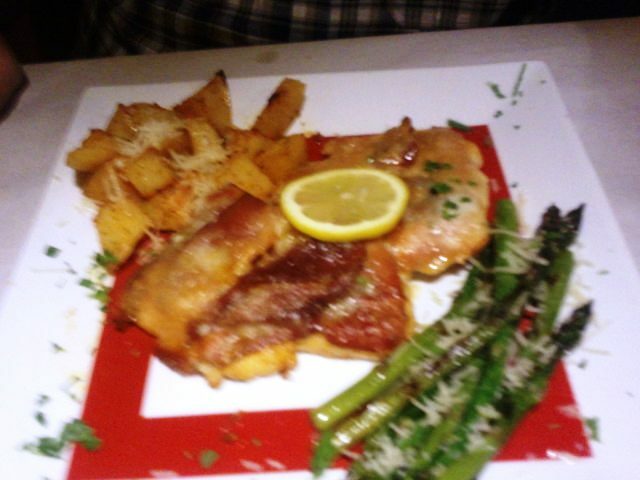 The husband ordered the chicken–pounded chicken breast, speck, fresh sage, pan seared with butter and white wine ($16). 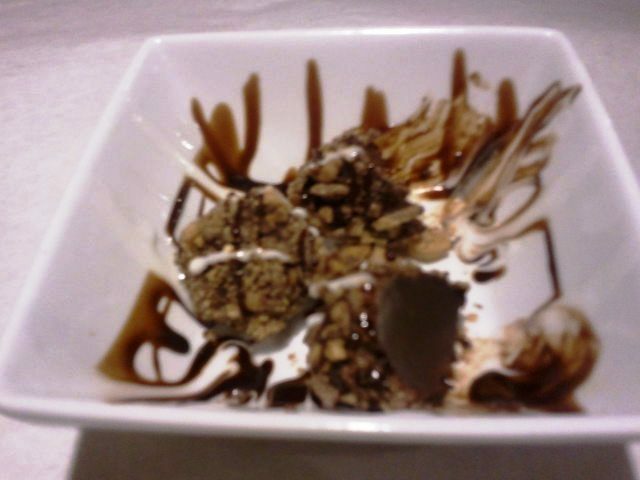 We chose to split the three handrolled truffles rolled in hazelnuts. Oh. My. Word. 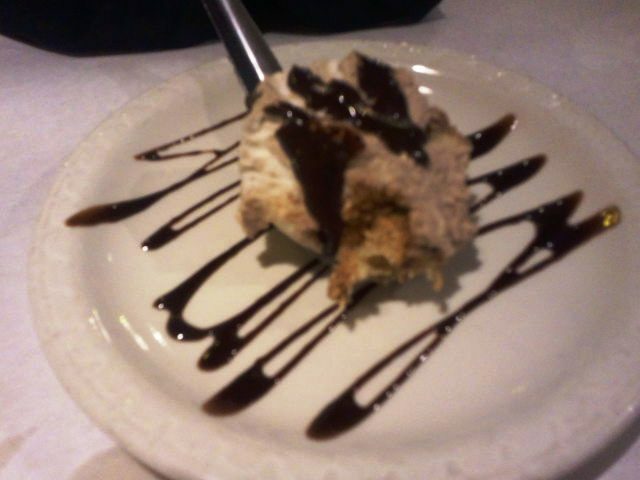 The waitress also brought out a complimentary sample of the peanut butter tiramisu (photo at the beginning of article). That was good too, but the truffles were the hands-down winner. For some reason they comped the dessert–not sure why, but it was appreciated. Our total bill (including a bottle of wine and a beer) came to $79 before tip. Not bad for locally-sourced, seasonal fare. Amore is a bit of a drive for us, so not sure it will become one of our “regular” restaurants, but it is a nice experience.